The number one comedy in the world, The Big Bang Theory, will end its successful run in May of 2019 as the longest-running multi-camera series in television history. Warner Bros. Television and Chuck Lorre Productions will bring the Emmy-nominated comedy series to a close at the end of season 12 with a record-breaking 279 episodes. The 12th and final season is set to premiere on September 24th. Over its run The Big Bang Theory received 52 Emmy nominations and won 10. Johnny Galecki announced at the beginning of the year that the cast and crew had discussed The Big Bang Theory ending with season 12. The actor noted that the cast was sad when talking about it, but declared that, "everyone's very comfortable with 12 seasons." The cast of the hit comedy has been on a nonstop rollercoaster ride with the immense success of the show, bit never confirmed that it would end with season 12. In a joint statement, Warner Bros. Television, CBS, and Chuck Lorre Productions confirmed the end of the hit series. The statement reads. "We are forever grateful to our fans for their support of The Big Bang Theory during the past twelve seasons. We, along with the cast, writers and crew, are extremely appreciative of the show's success and aim to deliver a final season, and series finale, that will bring The Big Bang Theory to an epic creative close." As previously noted, the final season of The Big Bang Theory will debut Monday, September 24th (8/7c) on CBS before moving to its regular time period on Thursday, September 27th (8/7c). The series, which debuted in 2007 and airs in syndication around the world, has been a constant ratings earner for the network. The ratings of the series were highlighted with the Season 11 finale, in which Sheldon and Amy finally tied the knot with an all-star cast that included Star Wars actor Mark Hamill and Kathy Bates. In addition to centering many of its episodes in the worlds of science and technology, The Big Bang Theory enjoys a healthy appreciation and support from the scientific community at large, including having a bee species (Euglossa bazinga), a jellyfish species (Bazinga Rieki) and a monkey at the Columbus Zoo (Dr. Sheldon Cooper) named in the show's honor. In 2015, the first-ever UCLA scholarship created by and named for a television series, The Big Bang Theory Scholarship support undergraduate students in need of financial aid who are pursuing their higher education Endowment, was established to in the fields of Science, Technology, Engineering and Mathematics (STEM). The Big Bang Theory is executive produced by Chuck Lorre, Bill Prady, Steven Molaro, and Steve Holland. 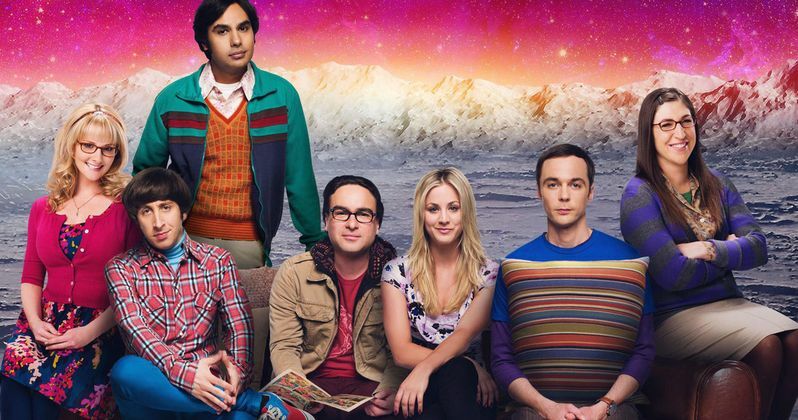 The series stars Johnny Galecki, Jim Parsons, Kaley Cuoco, Simon Helberg, Kunal Nayyar, Mayim Bialik, and Melissa Rauch. The Big Bang Theory is one big family, but it's time for the cast to rest and spend some time with their real-life families, which Johnny Galecki talked about in January of this year. Hopefully the new freedom will allow Galecki to appear on some more episodes of the Roseanne spin-off, The Conners. In the meantime, you can learn more about the final season of The Big Bang Theory at CBS.